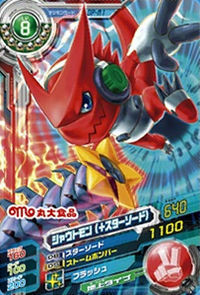 Starmon and the Pickmons' "Sword-union Mode". The saw-shaped blade is strong and boasts peerless firmness, so that it shreds the opponent when it cuts through them, inflicting massive damage. Because the wounds are completely ragged, it takes time for the opponent to recover from the damage of an ordinary attack, and they incur even greater damage. 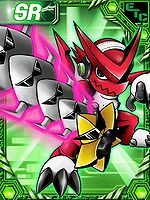 Also, because the united Pickmon can shift freely, it possesses not only firmness, but also a flexibility that allows it to bend like a willow branch and absorb impacts that are too strong. It can be said that the Star Sword has an appearance which embodies the strong ties of Starmon and the Pickmons' emotional bond. 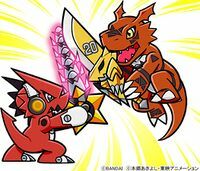 The "Sword-union Mode" which Starmon and the Pickmons digixrosed to! 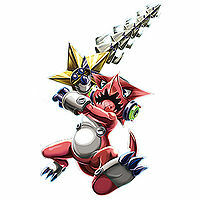 The "Sword-union Mode" which Starmon and the Pickmons digixrosed to. 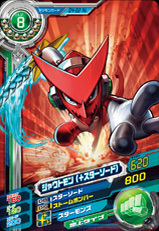 The saw-shaped blade is strong and boasts peerless firmness, so that it shreds the opponent when it cuts through them, inflicting massive damage. Also, because the united Pickmon can shift freely, it possesses not only firmness, but also a flexibility that allows it to bend like a willow branch and absorb impacts that are too strong. 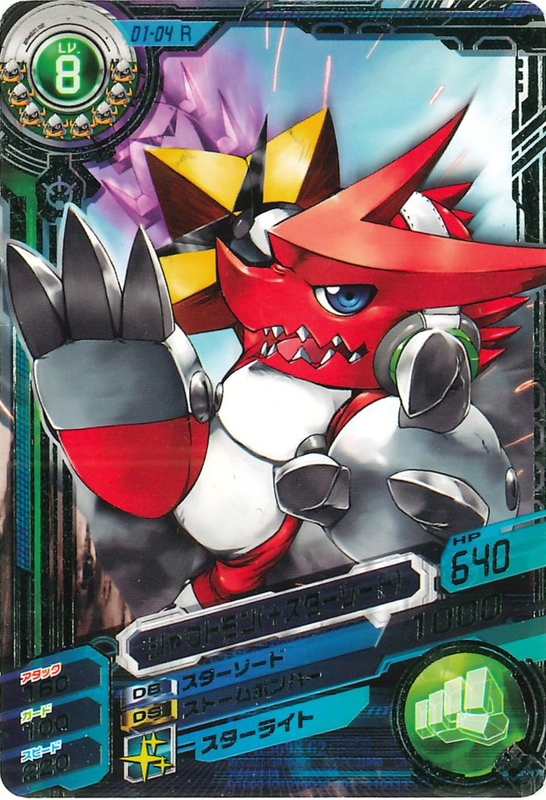 Shoutmon is the partner of Kudou Taiki. He lives in the Village of Smiles located in the Green Zone. 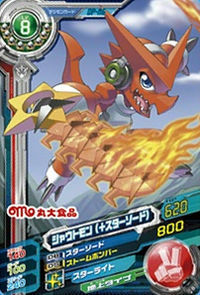 He aspires to become the Digimon King in order to protect everyone in his village from the Bagra Army. 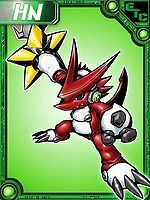 When given the power to wield the Star Sword, Shoutmon gets a small power boost. 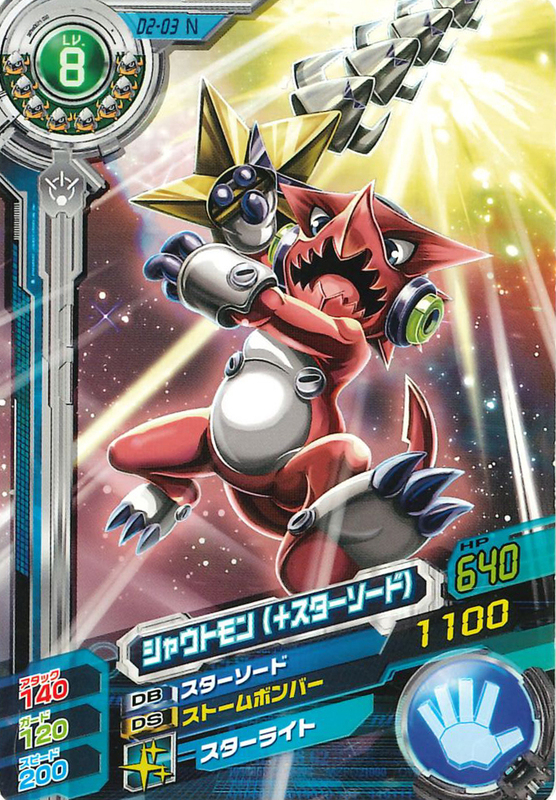 A new form in which Shoutmon, who specializes in close combat, is equipped with the Star Sword. Using a sword with outstanding sharpness, it slices the opponent in two. 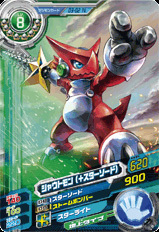 By using the "Star Sword", the sword DigiXrosed from the Starmons, its attack power has significantly increased. 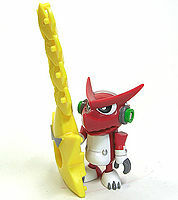 Shoutmon, who excels at maneuverability, swings the saw-edged sword, 'Star Sword', displaying its sword techniques freely in battle. There have been times when Zenjirou, using his skills in kendo, made use of Shoutmon's Star Sword to fend off enemies. 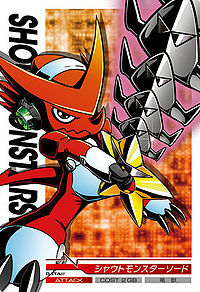 The Star Sword is the "Sword-Union Mode", the DigiXrosed form of Starmon and the Pickmons. The saw-shaped blade is both sturdy and powerful. Taiki's strong-willed partner. 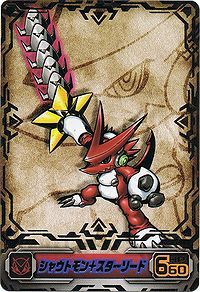 The Star Sword it wields in its right hand is the DigiXrosed form of Starmon and the Pickmons. 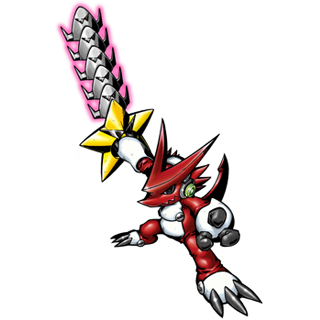 The Starmons fuse to form the Sword-union Mode, which Shoutmon then equips. 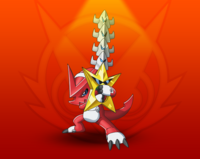 The Star Sword possesses great firmness, at the same being capable of shifting freely in accordance to the Starmons' will. ↑ The Star Sword is an obtainable weapon in the Xros Loader virtual pet. This page was last modified on 18 October 2018, at 12:27.